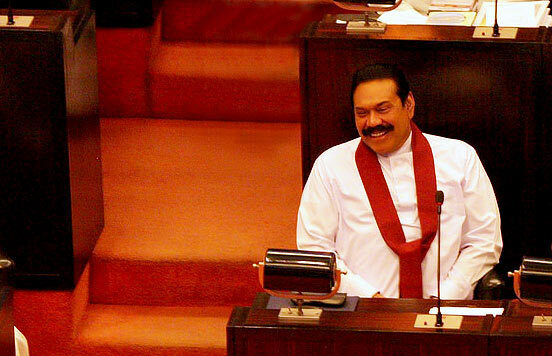 Participating in the Second reading debate on the Value Added Tax (Amendment) bill, MP Rajapaksa said: “Today, this parliament is debating the revision of emoluments and other allowances of the chairpersons and members of the nine independent commissions. The Former President said neither he nor the Joint Opposition had any problem with increasing allowances of members of nine independent commissions. “Do not get me wrong here. We have no problem with increasing their allowances. But our problem is that officials like the IGP do not follow their recommendations. For an example, the National Police Commission recommended the promotion of SSP Kilinochchi, Palitha Siriwardena. But that recommendation has been delayed by IGP Jayasundara.” Minister of Public Administration and Management and Law and Order, Ranjith Madduma Bandara said that SSP Siriwardena had been given a charge sheet. “According to the Establishment Code, a state worker cannot be promoted if that person has allegations against him or her. That is why the promotion, MP Rajapaksa mentioned has not happened thus far,” the Minister said.